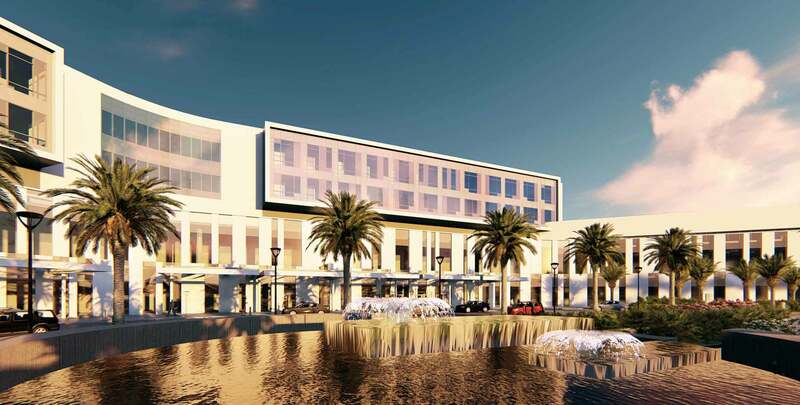 Flad has been selected by the Sarasota County Public Hospital Board to design a new 65-acre Sarasota Memorial Hospital campus in Venice, Florida. Located at the intersection of Laurel Road and Interstate 75, the campus will include a 315,000-square-foot acute care hospital consisting of 80 adult medical/surgical beds, 10 obstetric (LDRP) beds, a 20-bed observation unit and a 25-room Emergency Care Center; a 60,000-square-foot medical office building and 600-car parking deck, both linked to the hospital by pedestrian bridges; and surface parking for approximately 1,050 vehicles. In addition to medical, surgical, intensive care and obstetrical units, the hospital will include surgical suites, an operating room for C‑sections, a cardiac catheterization lab, an endoscopy suite, respiratory services, infusion/chemotherapy services, rehabilitation services (including physical, occupational and speech/language therapy), radiology/imaging services, a laboratory and a pharmacy, among other clinical services. Flad's proposal was selected from those submitted by "more than a dozen highly qualified firms," according to David Verinder, the chief executive officer of SMH. Pre-construction and design planning are to begin immediately as SMH awaits the state's final order on its Certificate of Need application. Once granted, it is estimated that the campus will be completed in three years, with SMH treating 5,000 patients and 850 obstetrical patients during the hospital's first year of operation.